Turkey Roll Recipe – Everyday Thanksgiving Casserole | Growing up, one meal my Mom always had tucked away in the go-to dinner file was her turkey roll recipe. 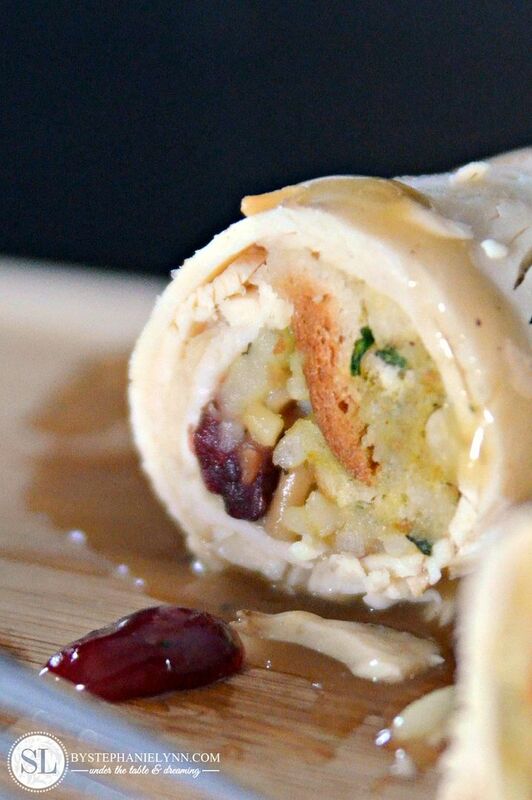 This easy to prepare weeknight meal captured the flavors of a Thanksgiving dinner all rolled up in a fun dish that we all loved. I recently was inspired to put a little spin on Mom’s recipe with the addition of Knorr sides found at Giant Eagle. This simple dinner can be made even easier by tossing all of the ingredients in a casserole dish to save even more time – though I still really like the idea of the individual rolls. 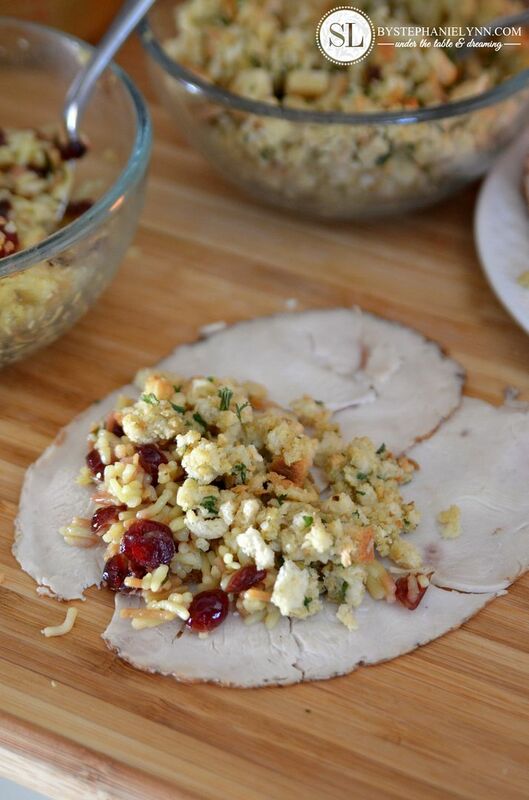 This recipe uses one package of Knorr Rice Sides and one pack of your favorite stuffing mix. we didn’t forget the cranberries. I like to use either the in-store deli roasted turkey breast (or Applegate pre-packaged) and to assemble I use two slices slightly overlapped as shown above. 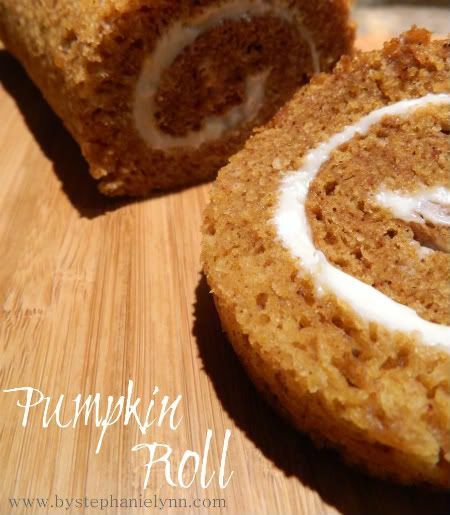 It makes for a nicer roll and adds a bit more turkey to go along with all of the filling. 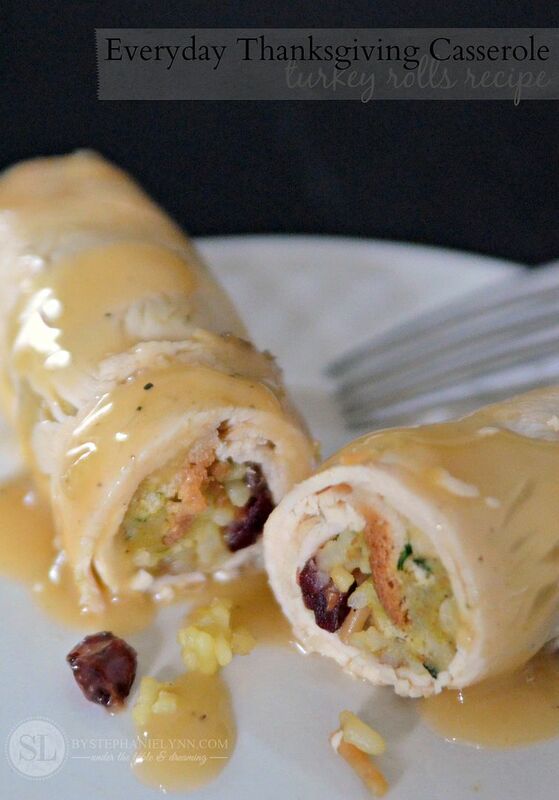 The turkey roll recipe takes about 10 minutes to prepare and 20 minutes to cook. A simple dish bringing a little taste of the holidays to your table…any night of the week. Prepare Knorr® Rice Sides according to the package directions. During the last 5 minutes of cooking, stir in the dried cranberries. While the rice is cooking, combine the Stuffing mix with ½ cup of hot water. Set aside for 5 minutes. Spoon a scoop of the rice, along with a scoop of the stuffing, onto the turkey slices. Roll up each turkey slice and place seam side down in a baking dish. 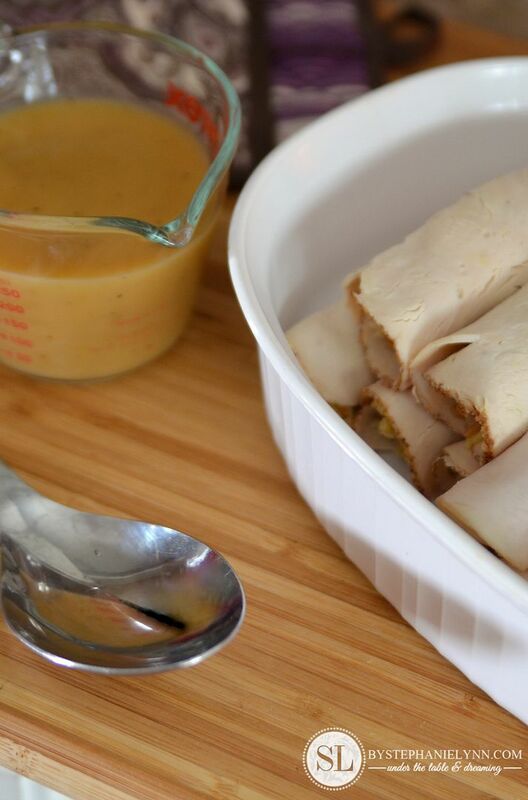 Pour gravy over turkey rolls. Makes approximately 16 Turkey Rolls. Alternate Casserole Method: Prepare the rice and stuffing as detailed above. Cut the turkey slices into strips. 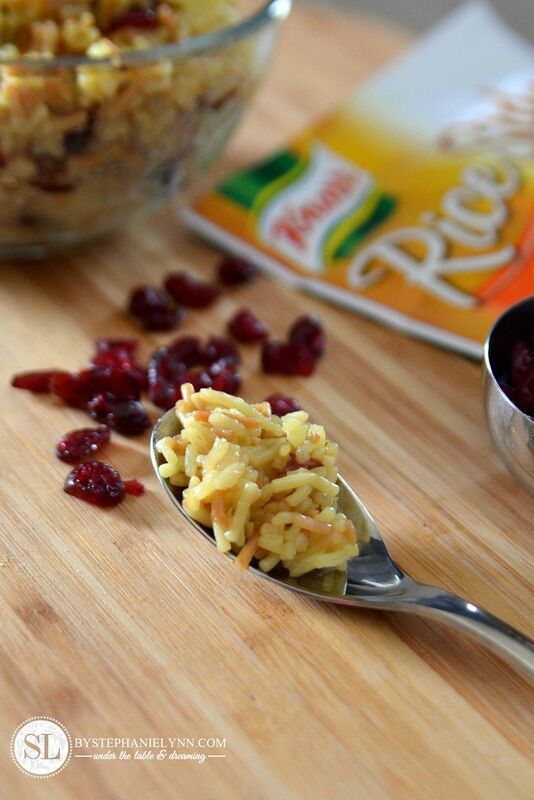 Mix the turkey, rice and cranberries together and place in casserole dish. Top with the stuffing mixture and bake 20 minutes or until the top is golden brown. Serve with warm gravy. This sounds delicious! Thanks for sharing your Mom’s recipe with us. While I haven’t tried it, I give it five stars for the way it sounds and looks and for ease of preparation! I have made something like this, since I crave Thanksgiving more then once a year, but I have never tried it with rice. Yours looks wonderful. If you have not shared yet at Bacon Time linky, I would love for you to.